Peppermint is one of my favorite scents and flavors, especially this time of year. And, while baked treats are super good, I’m really trying to make sure we don’t go completely overboard on the sweets. 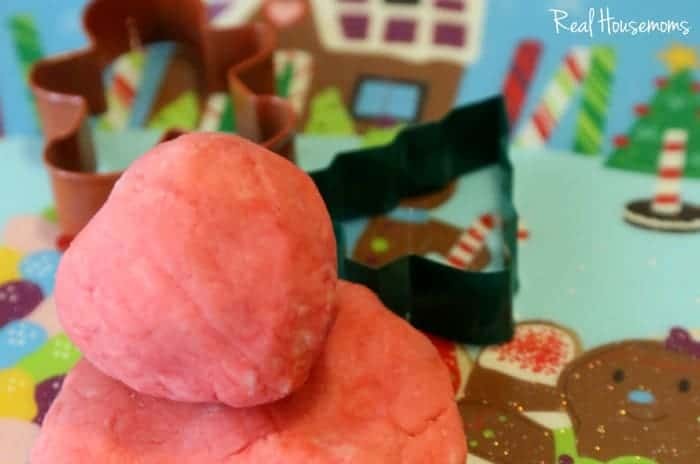 So, instead of peppermint treats to eat, how about a peppermint playdough recipe to keep the kids entertained?! We whipped up a batch of peppermint playdough and the kids were SO excited! 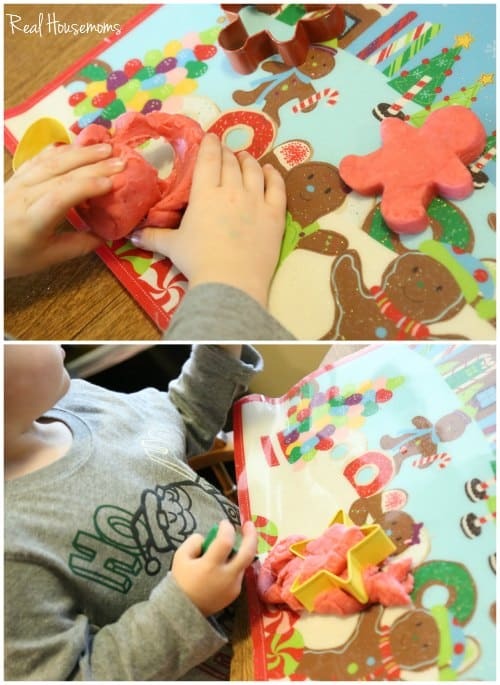 Making playdough at home is SO easy and inexpensive. For this version, we just took a very basic playdough recipe and added some red food coloring and peppermint essential oil. 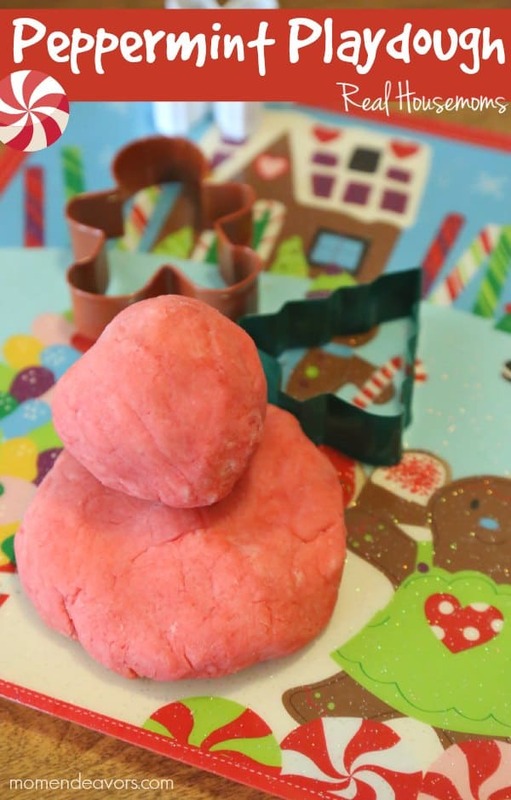 Kids will love this peppermint playdough! It's easy to make & super fun! In a small saucepan, mix all ingredients. Continue stirring often until the mixture is no longer sticky (and forms a dough). Remove from pan and let cool! Play & have fun, store in airtight container! *Add as much or as little food coloring as you want. I let my kids decide how dark they wanted it. To add to the fun, give the kids some Christmas cookie cutters and/or a Christmas placemat and let them have fun! The dough is soft and smells amazing! In fact, the house had a hint of peppermint aroma for hours after making! For more peppermint-inspired Chrismtas fun, be sure to head over to Mom Endeavors! You might enjoy our giant DIY Peppermint Lollipops, or the classic Candy Cane Reindeer Ornaments! I love many of the recipes but wonder, why can’t we pin them. I’m on my mobile phone, do not have a computer or printer. The ingredients to the recipes can be pinned but not the instructions. Can you help? The ingredients showing on Pinterest is a function of rich pins. The full ingredients are only available on the Real Housemoms website. Anytime you pin something, just tap on the picture, and you’ll be taken to the full recipe.